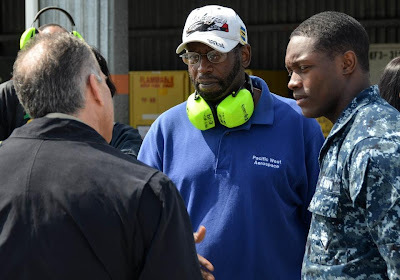 The Pacific West Aerospace Academy aviation youth program conducted under the auspices of the Tuskegee Airmen WW Pilot Colonel Edward Drummond & Executive Director Ty Peterson was hosted by the Naval Air Station Whidbey Island on May 10th 2013. The kids received a healthy nutritional lunch sponsored by Northrop Grumman Corp. Round trip Ground Transportation sponsored by Boeing Corp.
Hesselgrave Tours furnished bus services. An extremely powerful day for the students! My favorite classes during my undergraduate degree and MBA were the leadership courses. And honestly those classes, and that of management in general, apply to the flight deck and that of being a pilot. Flying is about managing the aircraft systems, the people, and the operation. Being a captain is about leadership. I love to pay attention to the business world in the essence of leadership. That's how I met Irene Becker. She is a woman who faced loss, started over, and has achieved great success in coaching leadership strategies. I enjoy reading what she is doing in the business world as she always inspires. "Hope lies in not simply playing to strengths, but to seizing every challenge, change, stressor and failure as an opportunity to grow, evolve and expand the power of our minds, the strength of our brains and the capacity of our hearts." "Courage lies in our ability develop a whole new mind set, skill set and heart set that optimizes the unbridled passion, purpose and potential of humans to do better, rather than simply living or working faster than ever before." Please meet my friend Irene Becker. She is an exceptional woman whose work is now shared by Stanford University, UBC Sauder, and other leading institutions and organizations. Irene was recently mentioned as one of the top 101 Employee Engagement Thought Leaders, by NY Times best-selling author Kevin Kruse. 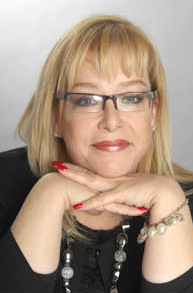 She is an exceptional coach, trainer, consultant and keynote speaker. If you do not know her work, you should! Thank you Irene for your Excellence in Leadership! you cease for ever to be able to do it." The above quote is true for everyone. There is a direct correlation between confidence and performance. Learn as much as you can, keep your skills toned, and know that you can fly. This concept goes for anything you do. Confidence is a key to success... It is time to Believe. I am half way through my ten-day trip. Seattle - Amsterdam - Bombay - Amsterdam - Portland - Amsterdam - Minneapolis - Seattle. Just landed in Amsterdam and time for a nap. Tomorrow is another adventure. 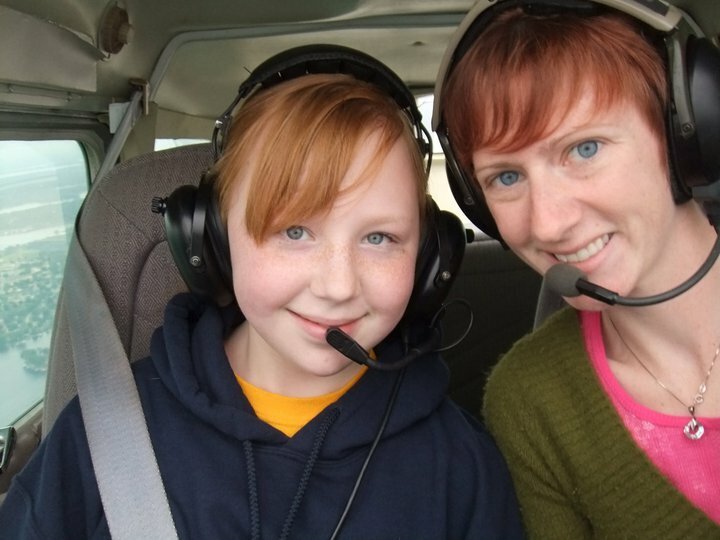 "My goal is to promote, educate, and share this great gift of flight that we all enjoy!" 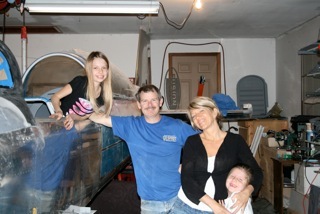 Brent tells me he started flying April of 1986, at the "tender age of 15" and has pursued aviation ever since. He's proven that passion can carry you far, and love of flight can change your life. His education was all civilian and pretty typical... a small town FBO for his Private license, and then he attended a big flight school for the balance of the training. 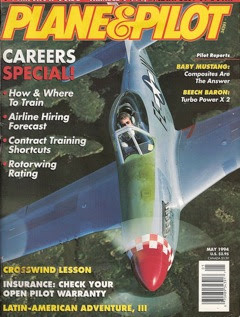 "After flight school I returned to my hometown of Duncan, Oklahoma, where I started my career as a Flight Instructor. 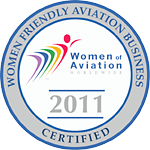 It was after the FBO was acquired by my mentor, Jim Brewer, that things started to change - for the good!" "Business boomed and I learned more about flying in those 5 years than I could have ever imagined." 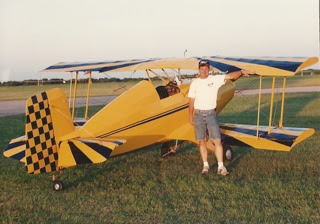 Brent flew students in trainers, taught taildragger pilots in the company Luscombe, and even flew Jim's Beech 18. After amassing the requisite twin time, he moved on to his current employer, that he has been with for 17 years flying corporate jets. He does double duty now splitting his time between office work and line flying, a combination that allows him more time at home and the ability to help support the line pilots from inside the company. Brent has flown over 40 types of aircraft from ultralights to jets, accumulating just under 10,000 hours of flight time. In that time as a former instructor, he taught dozens of people to fly in all types of aircraft. 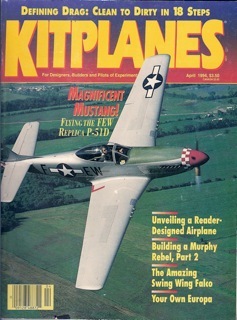 During his time-building years he also worked as a test and demonstration pilot for a kit aircraft manufacturer flying a scaled down version of a P-51D. "In my opinion, it doesn’t matter what you fly, we are a brotherhood. 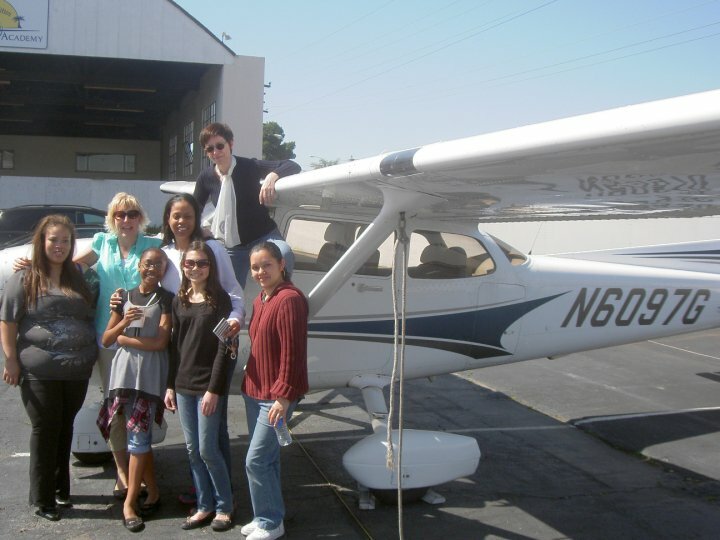 Flying is such a wonderful experience and I am extremely passionate about it – just ask my friends!" 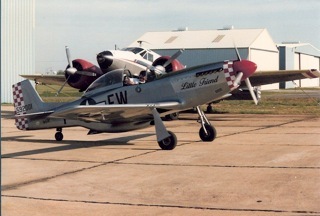 He completed, and currently flies, an RV-8 kit aircraft in 2011. He has also restored two other aircraft and assisted in the maintenance on dozens of others (composite, tube and fabric, wood, and metal). 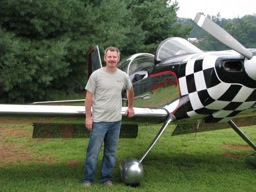 He is a Technical Counselor and Flight Advisor for the Experimental Aircraft Association and Vice President of EAA Chapter 9. 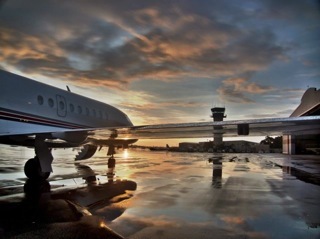 "Currently I’m a management pilot and Falcon 2000 Captain for a large corporate operator in Ohio so I no longer fly full-time, but enjoy a blend of flying part-time at work and flying recreationally in my free time. 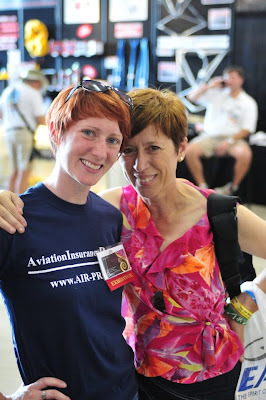 This affords me the opportunity to view our general aviation community from a completely different perspective." 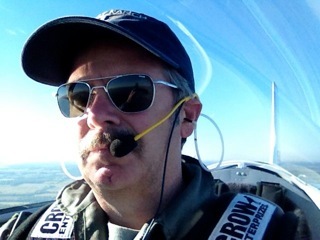 Brent can be found at fixedwingbuddha.com where he shares money-saving tips of all kinds for pilots, writes an aviation blog. Brent is also part of the Blogging In Formation Team. 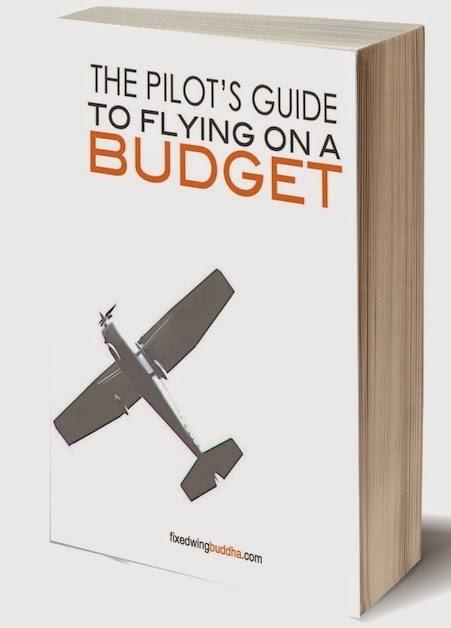 If you love aviation and want to connect with experience and passion... check our Brent Owens' Blog and his new site on how to save money. I am sure a lot of you are mechanically inclined. I'm not so much. When I was five, I was reputed to tear apart clocks only to fail at putting them back together. That seemed to bum out my mom for some reason. While I'm not much of a fixer, I certainly know how to operate machines. Still, I don't understand machines the way guys who fix them do. Maintaining anything, especially an aircraft, can be poetry in motion. It can be artistry. It can be a lifestyle. This week's article is about those who fix our aircraft. I happen to be lucky right now. 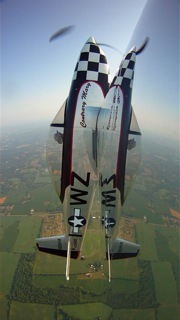 I fly two totally different aircraft, the C-12 and T-38. They are maintained by two completely different contract maintenance organizations and they are both awesome. The C-12 has a two man crew who reports to a mothership maintenance headquarters somewhere in Mississippi. Mostly, they're allowed to do their job without much intrusion because the mothership knows that, historically, our two guys have been very successful at keeping their aircraft top-notch and ready to fly. The result: the C-12 is constantly ready and rarely suffers unexpected issues. The T-38 is maintained completely differently. There's a substantial organization that maintains our T-38's here in a pool of other T-38's. While it's not the biggest organization, it is much larger than the two guys who work on my C-12. It's more traditionally organized as an aircraft maintenance unit. Of course, nothing is perfect. The T-38 doesn't always work the way it's supposed to. What do you expect for a 50 year old aircraft? Despite all that, these guys do a great job. One reason I think they're so awesome is because they take serious pride in their work. This was totally obvious this past Friday. I flew a Functional Check Flight--that's Air Force speak for a maintenance test flight--on an aircraft that hadn't flown in almost two years. This aircraft was reconstituted from a group of T-38's on loan to and then returned from South Korea. I was told this particular aircraft was troubled right from the start. Cracks were found, gremlins were resolved, issues were taken care of. It was a mess and a gigantic amount of work to restore to Air Force standards. To this maintenance crew, it was more than a simple job. It represented a major portion of their lives for the last couple of years. Friday was our third attempt at flying this jet. The first attempt ended when one engine flamed out because the throttle was pushed against the idle stop while still parked in the chocks--the throttles were out of rigging. The second attempt ended because the main attitude indicator displayed a permanent 20 deg right bank. Not a big deal on a VFR day, but still a no go. Big Bruce, our avionics tech, fixed it with a change of the aircraft's ancient gyro. By this past Friday, all was ready. 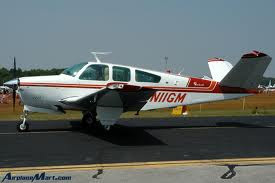 Since I was flying this later in the day and it rained the night prior, I was told Big Bruce started the ground power unit and fired up the T-38s' avionics every hour on the hour. He claimed he wanted to warm up the systems--which can be really important with these older instruments, especially after they get wet--and check to make sure they all worked prior to my arrival for the flight. Of course, I ribbed him a little when I showed. It was a matter of pride to Bruce that everything work the first time. I went out to the jet just outside the hanger without fanfare. A couple waves and hello's to people here and there working on jets. Pre-flight and ground ops were totally uneventful. When I taxied, I finally looked up to see a group of technicians had gathered while my head was down in the cockpit. They stood in a line at the entrance to the hanger to watch me head off. In my quick glance at them, it struck me there weren't a lot of smiles or waves going on. I wouldn't say they were worried, but there is always an awareness when any jet hasn't flown in a long time. The flight went off without a hitch. Even though it had not flown for more than 500 days, the jet was in fantastic shape. Sure, there were lots of little things not quite right, but nothing major was wrong. In fact, it flew very straight, which is a small surprise with any T-38. When I flew the jet, I didn't know any of its history. I didn't know the long hours and extensive effort our maintainers put into her. The long and detailed work history I read didn't mention the bloodied knuckles, the curse words, or the frustration at putting her back together. By the time I arrived, the jet had received a large portion of her technicians' waking hours over the last two years. It was a big chunk of their lives. What can be hard to understand for us operators is the connection maintainers have with their aircraft. We might accidentally overlook the pride maintainers have in each particular jet. We might think it's just another jet, like all the others. But, the maintenance guy you're talking to has broken skin on her innards. The point here is: there's more to flying than checklists, turning wrenches, and procedures. There's something else at play here that makes it all work. "Love. You can learn all the math in the 'verse, but you take a boat in the air that you don't love, she'll shake you off just as sure as the turn of the world. Love keeps her in the air when she ought to fall down. Tells you she's hurting before she keens. Makes her a home." Note: "The image is of the M9M. 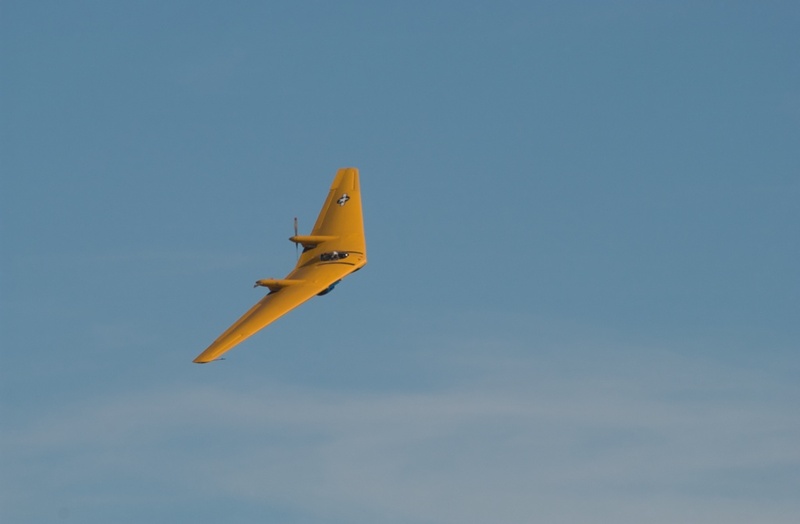 I think it's the last flying prototype of the early flying B-49--aka, the Flying Wing. It's a fantastic little plane." As you know, I was searching for my plane... A Piper Aztec, that somehow turned into a DC3. More on that story HERE. 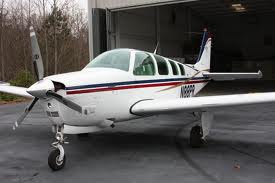 So during this search I was recommended by Paul Sergeant to get a single engine engine...more specifically, a Bonanza. Why a single engine? Why a Beechcraft? In general, Beechcraft make the “Volvo” of the air – solid and strong. 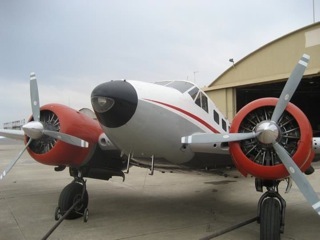 Ypu can see that when you look at the skins and frames in a Beechcraft – the metal skins are thicker, and the frames are beefier. The inside is roomier, especially important for tall people. 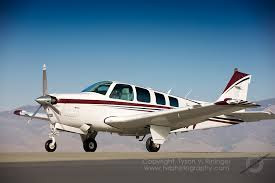 Because of the extra materials and wider cabin, the airplanes tend to be slower for the given power – a Mooney goes almost as fast with a 4 cylinder engine as the Bonanza does with a 6. 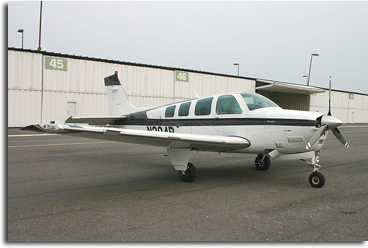 But a Mooney is a metal and wooden tube you crawl into, a Bonanza feels more like a car. The V Tail Bonanza V35 will give a Mooney a run for the money however, due to less wetted area and less parasitic drag. Early V Tails had a problem with flutter, and with the tail departing in turbulence above Vne. So the FAA grounded the fleet in the 80’s and introduced an AD to fix the problem. I think it is fair to say that the V tail is one of the most studied (and now safest) light airplanes available. But the perception remains that the V Tail is somehow dangerous, so Beech made a version with the conventional tail, the model 33. 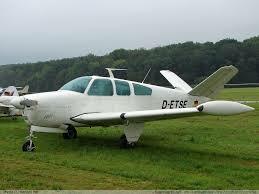 Beechcraft addressed the problem with the 36 series, when they moved the wing back 10”and extended the fuselage. The 36 is true 6 seater, with 2 forward facing seats in front, and 4 “club” seats in the back, facing each other with a little flip up card table, and large double doors. You can put 4 reasonable sized adults in the back, 2 in the front, and still have payload left for bags. The extra size and weight makes the 36 series slower, so most owners want the version with a IO550 (300HP) engine. The IO520 (285 HP) is good enough for the 33/35s. The A36 is what I recommend for your mission. The A36TN is turbo-normalized, and can deliver full power up to around 17,000 ft, and cruiseswell into the flight levels. Not being pressurized, it needs oxygen. There is no pressurized version, but pressurization adds a lot of maintenance costs. On that topic, the V35 cruises at 10,000 feet at 165 kts on 12.5 gall/hr lean-of-peak. To run LOP you need GAMI fuel injectors and a good engine monitor. The 33 is slightly slower (perhaps 162kts) and the NA (normally aspirated) 36 runs at about 158 kts at that fuel flow. You can of course go faster if you are willing to run ROP instead of LOP, at a cost of 3 or 4 gall/hr. 100LL avgas costs around $5 to 7 /gall depending on where you buy it, so running LOP saves money. A single engine burns much less fuel, and requires only half the maintenance, and the likelihood of an engine failure is cut by half. GA twins have about the same accident rate as singles, because a twin is 2x as likely to have an engine out, and most GA pilots aren’t practiced enough to handle a single engine emergency. In a single, an engine issue means you land NOW – twins often try to keep going and end up losing control. I would only recommend a twin for someone planning to fly over water or rugged terrain with no emergency landing places, and for someone who doesn’t care about costs. Of course, on BeechTalk.com any opinion about the single vs. twin engine starts an argument, since the site is for Bonanza and Baron owner (the Barron is Bonanza with 2 engines). My other comment is that some Bonanzas have overly complex fuel systems (up to 6 tanks). I deliberately chose one with 2 x 40 gallon tanks to keep it simple – I knew someone who crashed an A36 from fuel exhaustion – but he had fuel on board, just not in the tank he selected. My 80 gallons will last for 5.5 hours with reserves, and I only have 1 tank selection switch. I don’t need longer in the air, my bladder range isn’t that far! Don’t get one with multiple tanks unless you need 8 hrs endurance – keep it simple and safe. Many Bonanzas have had gear up landings in the past (mine hasn’t). As long as they’ve been properly repaired, they can be a bargain, usually about $20k less than a no-damage history (NDH) airplane. Good use of checklists and stabilized approach by the numbers will keep yours undamaged. I use my gear as my speed brakes and always land at the same power setting and speed, and unless my gear is down I can’t get that slow. Fly it like an airliner and you’ll do great!" Paul's rational of why I should buy a Beechraft A36TN. What do you think? Do you concur with Paul, or have another suggestion? 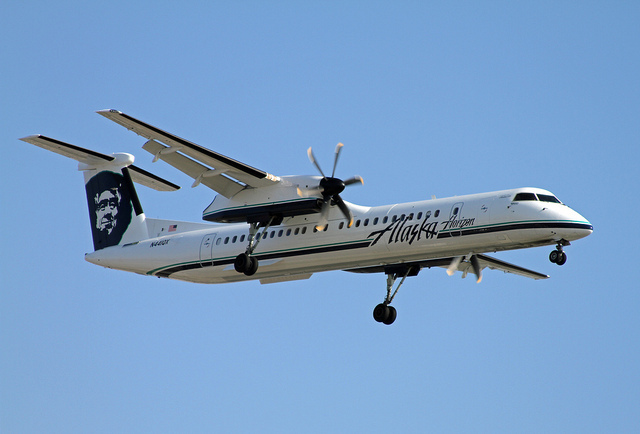 What is your experience with this airplane? There is a viable solution to increase Aviation Safety, and address the pilot shortage all at once! Pilots losing their skills due to automation. 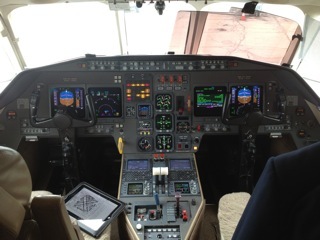 Pilots not acquiring skills because they are learning on automated/glass planes. 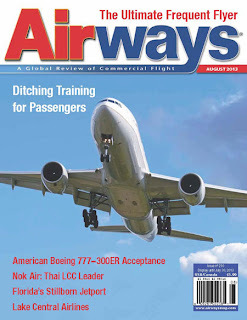 Pilot shortage, and future students not able to afford training. The FAA has attempted a fix at issues 1 and 2 by increasing flight hours to 1500 thinking this will help with the skill level. The problem with their 1500 hour solution is that it is not necessarily increasing skill level because the pilots who have the money to build those hours will more than likely be flying them with automated aircraft on the autopilot. Does 1500 hours make a better pilot? The same 1 hour flight 1500 times won't necessarily make a better commercial pilot, but fills the squares. Thus, the fix for issues 1 and 2 (which is not a valid fix) is creating more of a problem for issue number 3... pilots not being able to afford flying which in turn is impacting the pilot shortage. A viscous circle. 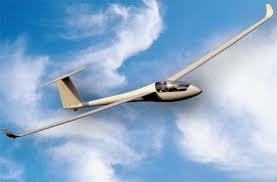 Change the regulations to enable pilots to use glider time for up to 50% of their total flight time. 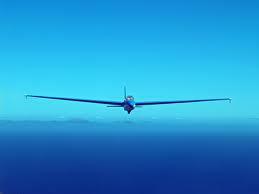 In the automated world we now live, glider flying will be far more beneficial acquiring aerodynamic skills and a scan. This will produce a generation of pilots who can fly a plane beyond managing the computer. They will build a solid foundation. I believe that if the pilots on AF447 and the pilots on Asiana 214 had been experienced glider pilots, the outcomes of both those flights would have been different. 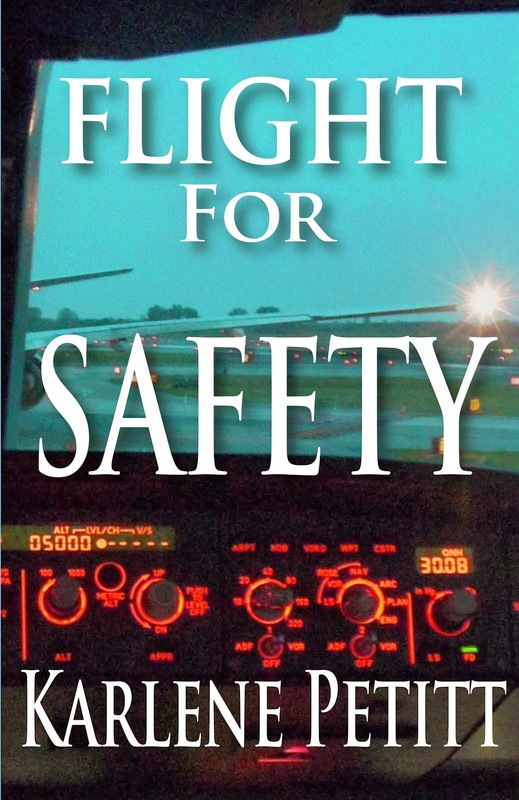 To learn the solution for the current cadre of airline pilots who might not have the skills ... you will have to read Flight For Safety the see the answer to that dilemma. Graduate school... Here I come! Getting into graduate school is going to be the first challenge. But I've got my books and I'm ready to study! Fall 2014, I will start the next journey. Please leave a comment and tell me what you think about this idea, and if you can add to the solution. Together we can make a difference. "Flying puts magic in people's lives. Please welcome Mireille Goyer and Victoria and Neuville Zajko... Two amazing women doing something pretty spectacular. These women will fly a Cessna along the Aéropostale airmail route and connect school kids across continents. The Kids Airbridge program connects school kids of North America and Africa to teach them how to collaborate despite their cultural differences in order to complete aviation-centric class assignments. Using aviation as the motivator, the Kids Airbridge initiative aims to encourage school kids in North America and Africa to study aviation history, geography, science, and art as well as to learn how to collaborate despite their cultural differences in order to complete common academic assignments centering on aviation. During the crowd-funding campaign ending on August 23, 2013, the public is invited to suggest or sponsor classes of kids, ages 6-12, located in North America. Selected North American classes will be individually twinned with classes in Senegal, Africa, to form an airbridge for the scholar year. The first class assignment consists of creating paper airplanes as a gift of friendship. These creations will be hand delivered by female pilots Mireille Goyer and Victoria Zajko during an historical flight from France to Senegal along the first trans-continental airmail route, the Aéropostale route. They will decorate the respective classrooms throughout the scholar year. The flight departing on October 4, 2013, will also help raise funds to create a secured online collaborative environment for the kids and provide much needed school supplies for the African school kids. Furthermore, the kids will have an opportunity to learn the many facets of flight operation as they track their precious 'airmail' online. 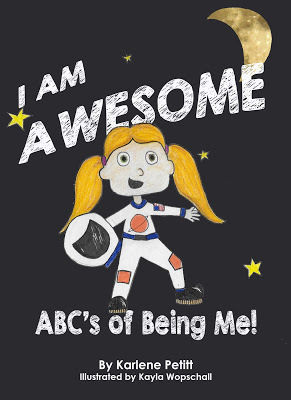 "Our goal is to motivate academic excellence among school kids and give them a chance to enjoy collaborating with others despite cultural differences," says Mireille Goyer, an award-winning pilot and the founder of the Kids Airbridge initiative. During the first year, the initiative is restricted to 20 classes or 10 airbridges. It will directly affect approximately one thousand students. Everyone is invited to follow the flight online. 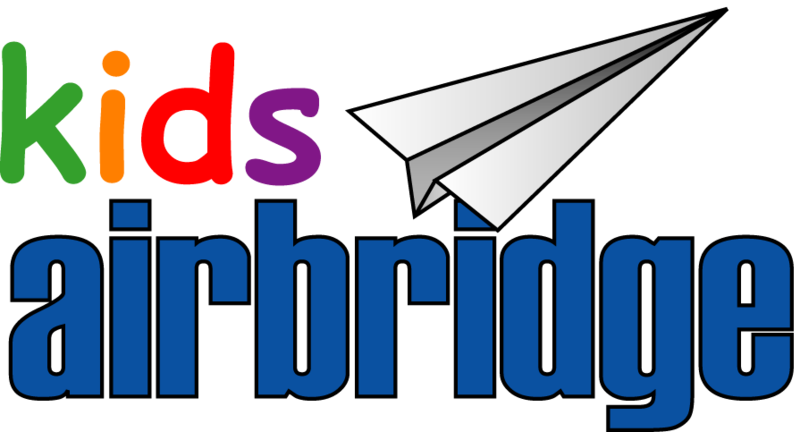 For more information about the Kids Airbridge initiative, please visit the website at KidsAirbridge.org A link to the crowd-funding campaign is available on the website"
This will be a really short article. It's about being an instructor pilot and the responsibilities that go along with it. Let me cut to the chase: No matter what, when an instructor is flying with a student the instructor will always be responsible. No matter what the student does, no matter how good or bad the student is, no matter what, the instructor will always be responsible. Excepting for flat-out criminal activity, I cannot imagine a situation in which a student should be held responsible for anything when there's an instructor assigned. Someone might say, "The instructor might not be at the controls." To which I'll say, "Why was he not at the controls?" Or, "The student did something totally unexpected and unforeseen." To which I'll say, "Was the instructor asleep at the wheel?" Perhaps the excuse might be, "The student is someone of some reputation and correcting them might cause some loss of stature." This leads me to wonder: does the owner of the aircraft care about the student's stature more than keeping his aircraft safe? There is no excuse for the instructor. Ultimately, the only choice the instructor has is whether he's there doing his instructional duties or he's declined the responsibility and not there, i.e., not present on the flight. There are no other options. There are lots of techniques associated with being an instructor pilot. But, all those techniques take a backseat to the ultimate instructor responsibility: keep things safe during instruction. There is no higher calling in flight instruction. There is no higher purpose. There is nothing else. "How could I take control of the aircraft away from one of the most famous aviators in history and survive professionally?" I figured if a dangerous situation developed in public during which I had to take control, after landing it would turn into a "he said, she said" situation, meaning my credibility as an instructor would be weighed against this legend. I figured either a) nothing would happen (not 100% likely), b) I took control of the jet at the approach of the dangerous situation, after which I would be second guessed for the rest of my career, or c) I could just "ride it in" and hope for the best. I didn't like these choices and, knowing the reputation of this person, I decided to decline. Someone else flew with this Distinguished Visitor. Of course, nothing happened. That makes me glad because I know it was just a matter of chance whether something would happen or not. Which brings me back to the role of the instructor. It doesn't matter whether it's chance, circumstances, sunspots, or the Lochness monster, instructors will always bear the burden of keeping their flights safe. Tom, Thanks for the great article. This is a fascinating subject. In the commercial airline world, all pilots on the plane are responsible for the safety of the flight. The check airman has a bit more weight on his shoulders when he is observing a student. But the student is qualified to fly the plane, or they would not be sitting in the seat. We would love to hear your instructing story, and how you dealt with it. Also... what would you have done in Tom's scenario if you were faced with this situation? This brings up an interesting concept... and perhaps another discussion on the pressures to going for the ride. 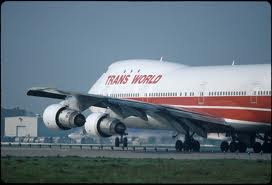 17 years ago a TWA 747 took flight, headed for Paris. That flight lasted only 12 minutes. But the terror and pain would last a lifetime. What began as a normal flight, would turn the world upside down with grief. The Seattle Times recently said that it's official, "the fuel tanks exploded." Many still believe that it was a missile that took out the plane. Today a documentary will air and maybe we can learn more. Despite the reason how this happened, the result was the same. Families were blown apart over the senseless loss of their loved ones. 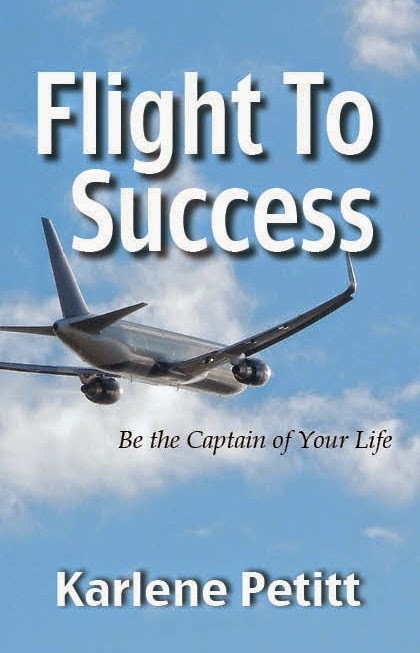 One such person, Captain Mark L. Berry, had lost his fiance, and his years of healing, ended up in a memoir, 13,760 Feet Living with TWA Flight 800. It's hard to imagine having the love of your life depart the world in such an accident. But to have it happen on your airline with your friends, it's hard to imagine how to cope. Mark learned how to survive through his writing and music. Moving forward when tragedy happens takes strength and courage. It doesn't mean we forget, but we owe it to those who have passed to live our best lives. In memory of TWA800 I am honoring Mark for sharing his story of how to live again. "The sky was that deep shade of blue you only see at dusk during summer, in the moments just before the sun finally sets. 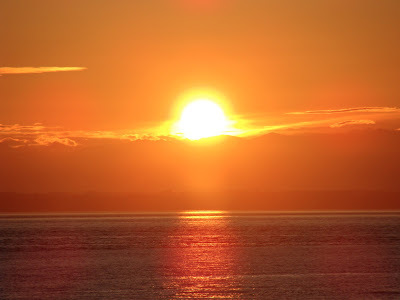 The ocean, having absorbed radiation, heat, and light all day, set up a low shimmer above the steadily rolling waves as the atmosphere tried to reclaim what the sun had tirelessly delivered while passing overhead. The sea and sky seemed to be shaking a thousand hands along that stretched horizon. The distant colored sails of leisure boats jibed and tacked—small irregular triangles bending and pulling their water-skimming vessels. And above the were departing aircraft... A recent departure from JFK International airport joins the procession...unaware that anything was about to go fatally wrong." I hope one day we will know the truth. This event is one of my most visual memories flying. While I did not see anything that would give me reason to believe one way or another, I suspect this plane blew up from more than fuel tanks. For those who know the truth, the truth shall set you free. Yesterday was all about the Journey to Redmond/Bend Oregon. Today... is what happened when I missed my flight and diverted through Portland. I forgot to bring a book. So I watched the crowd. First thing I noticed everyone, less four people, were playing with their electronics. Two commuting pilots: One Alaska pilot was reading. Another Delta pilot was writing notes with actual paper and pen, no less. And then there was a Horizon Captain walking through the terminal, who grinned broadly as he hugged a man. Then they grabbed a coffee and talked in the waiting area. Hmmm. Good friends? Worked together? I wondered. I took my seat and soon the man, recipient of the hug, sat beside me. What are the odds? I said, "Do you work for the airline?" "What do you do for them?" I asked. "I'm the President of Horizon Airlines." 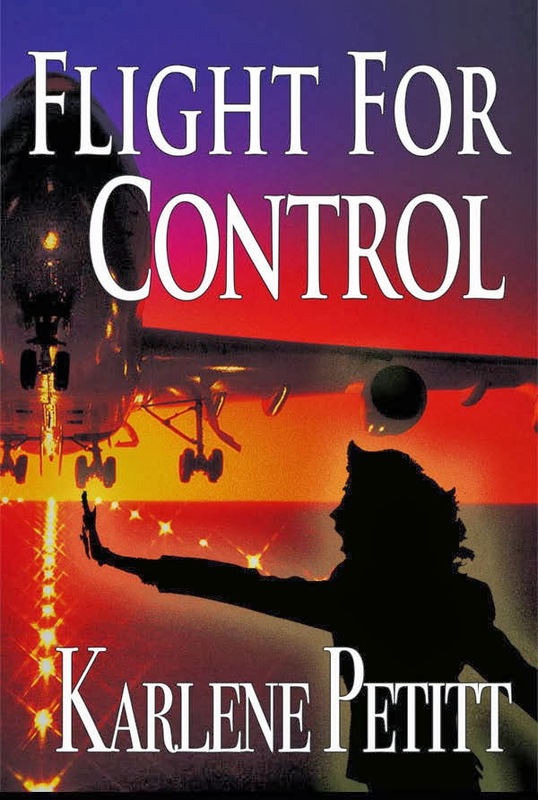 I handed him one of my cards, and said, "Then you need to read my book Flight For Control." What else do you say to a President of an airline? I also warned him to not be terribly afraid of what goes on in my mind after reading my book. The reality is, he is very like minded with inspiration and positive attitude and working toward the same goals: Inspiring the future aviators, and safety. His pilots hug him. That speaks volumes. I have yet to see that happen at any of my eight airlines. I had a great flight and enjoyed our conversation immensely. What an accomplished man. 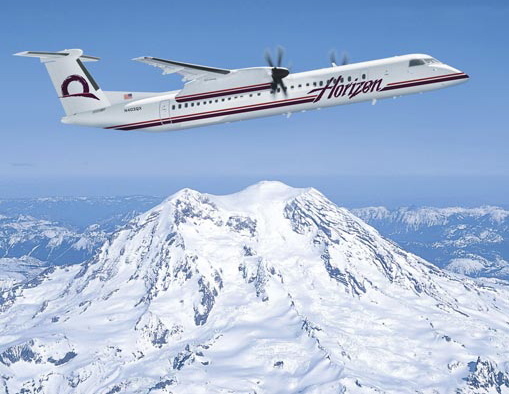 He was the VP of finance at Horizon, Senior VP of customer service at Alaska, VP of finance and treasurer of Alaska, Executive VP Airports, Maintenance and Engineering, Executive VP finance and CFO at Alaska, and now the President at Alaska/Horizon. Experience is a good thing. More than all this, he is yet another Alaska/Horizon executive giving back to the community. He has been visiting colleges and universities looking to address the pilot shortage. He is inspiring the students. I'm telling you, the executives at Alaska give back tenfold. Remember what Bill Ayer did in March? We discussed many things, and of course the crash in San Fransisco and why it happened. He mentioned how their pilots hand fly visual approaches, such as SFO, many times a day, honing their skills. I have also noticed the Airbus pilots who also fly general aviation are the best. They disconnect everything and can fly. This is the greatest challenge, maintaining skills with automation. Then we discussed how pilots would earn their flight hours, expense being one of the major issues, in combination with the increased hour requirement. What are we going to do in the future? Thanks to a conversation with an inspiring individual... Glenn Johnson... I know what I am going to do with my Ph.D. And... I now know what my thesis will be. Aviation Ph.D. Program in Fall of 2014! What I intend on doing is implementing an idea that will change the world of Aviation as we know it. This means changing the FARs. 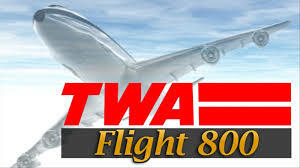 I have figured out how to lower the new pilots' expense in building their flight hours, while solving the pending problem with the future of aviation: Pilots deteriorating skills, and the inability to fly their planes when they lose, and/or disconnect their automation. 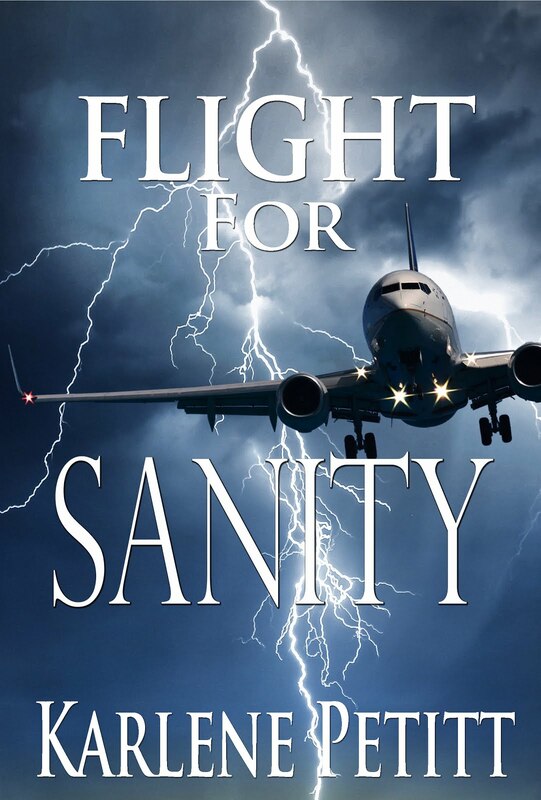 Flight For Safety will be released in August. That means I have one year to get Flight For Survival, Flight To Success, and my children's books done. And at least one of my movies on the big screen to fund the adventures. Sounds like I might be headed for a busy year. But good things to come. When the trilogy is complete, we are headed for pure motivation, inspiration and creating change. Thank you Glen for being the inspiration to the dream, and for all you do for the future of aviation. What am I going to pursue with my degree? Can you guess how I plan to reduce the expense for new pilots building their flight hours, while making the industry safer so accidents like AF447 and Asia 214 won't happen in the future? I will write about it next Tuesday. the way it is supposed to." Thursday July, 11th was my 32nd anniversary, and was one of the hardest days I have experienced in a long time. I awoke to a homemade card on my computer. I'm giving my hubby this one. 31 years I remember, and he forgets. This year he had me. But it had been a very long, non-stop, on the go few months. This was also the day I took two of my grandkids, Miles and Ellis, to their new home in Bend. As it turned out, my husband had a tee-time of 9 am with the neighbor and I told him he was not to cancel. He deserved the break. I said, "I can walk to the airport. How hard can it be?" Miles was excited for the walk. He had done the distance with us numerous times. What I did not realize was how heavy the load would become. Ten minutes into the walk I thought I can't do this. I immediately changed my thoughts to... of course I can. I can do anything for 40 minutes." The kids were great. Miles and I talked the entire way. 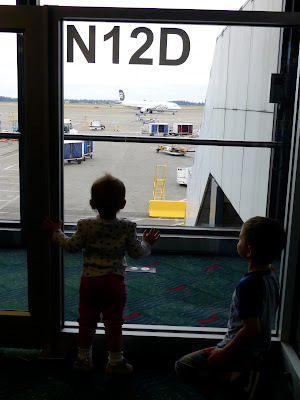 We had a visual on the airport and had just turned off the highway when Ellis, 19 months old, said, "Uh. Oh." I glanced over my shoulder to assess the problem. Binky missing! Miles and I spent five minutes looking for it, to no avail, before we pressed on. We made it to flight ops, and I apologized to the couple crewmembers who were interrupted by the baby's tears. Both said, "no problem." Yes... it was officially nap time. We unloaded her out of the backpack, and I would carry her to the plane. I thought this would be easier than unpacking her in security. Gate: North satellite. Ahhh...the farthest distance we could go from where we entered the airport. Miles was excited to take two escalators down to a train, and up another to the plane. Bags strapped to my body, baby in arms, Miles in hand, we pressed on. Oh wait... I forgot to mention the TSA experience. I beeped carrying the baby through the scanner because I had a hip replacement. I had to put her down and get her to go through the scanner by herself. There were a ton of people in line. Strangers watching, and she was apprehensive to let go of me. I got Miles to go with her and hold her hand, and I went back to the other side. Someone laughed, and she grinned to her audience. Which was much more fun than grandma. Not until I said, "Ellis, Miles, time to play run through the tunnel!" Did they come my way back through the scanner. Then I held her from side to side while they patted me down. I wish I could have got a picture of the TSA experience. But I wasn't allowed to touch my things. Once at the gate, we waited 45 minutes to get on the plane. And when we did, something set Miles off. He cried. Then the baby cried. Then the baby decided she was going to have a meltdown. Note: Her temper tantrums are only second to her mothers when she was a baby. What can you do? She's willful, and was tired. But I have to thank the man behind who made faces at her, because the smile came back as the flirt came out. The passengers were great. One of the flight attendants said, "Don't worry about your baby crying. She's a baby." How nice was that. As hard as it is for passengers to listen to a baby cry, it's much harder on the parents. (And grandparents.) 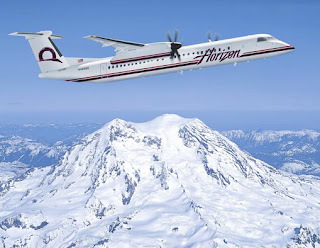 Thank you Alaska/Horizon for employing compassionate people. As hard as the struggle this journey was, this was not the reason for the hardest day. It was the Wopschall family was moving to Oregon. Bend is a great place for their family, but it was still really sad that they will no longer be thirty minutes away. Why am I supposed to go through Portland? There had to be a reason. And as the day unfolded, I soon learned why. Join me tomorrow to learn who I ended up sitting by on the flight to Seattle. What are the odds? Nothing happens by accident, and I don't think this meeting was an accident either. I think a bit of fate had to be involved, because the ensuing discussion gave me an idea that will change our aviation world as we know it. "Whenever your path gets altered from what you thought or expected it to be, know there is a reason. Embrace the journey and go with the flow... and be inspired."